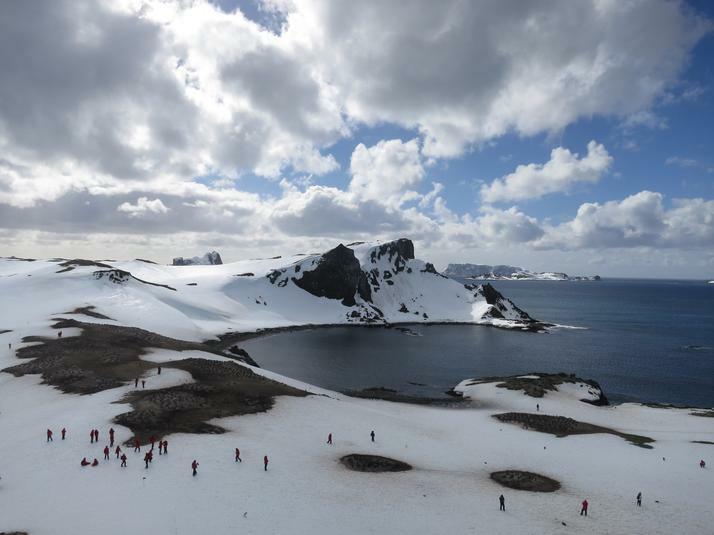 As our luck continued on our expedition to Antarctica, the ship reached the South Shetland Islands on our third day with enough time to make a landing, a rare occurrence according to the crew. The views are already breathtaking. 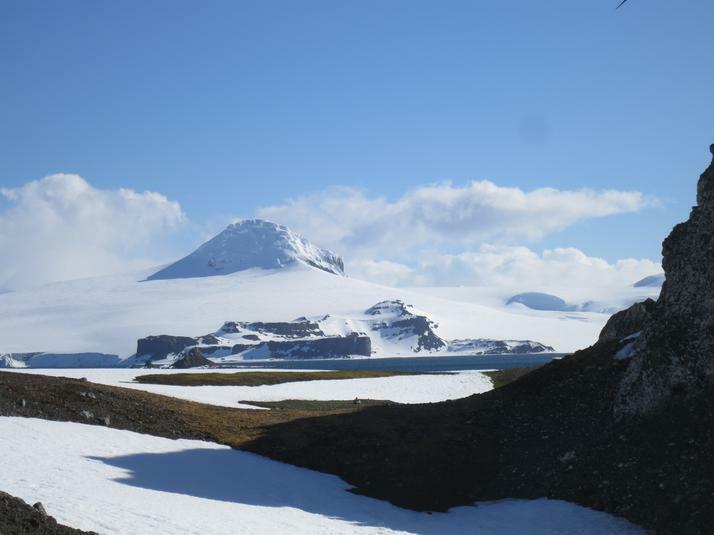 We are still at the tip of the peninsula and the landscape is not yet what I pictured Antarctica to be. 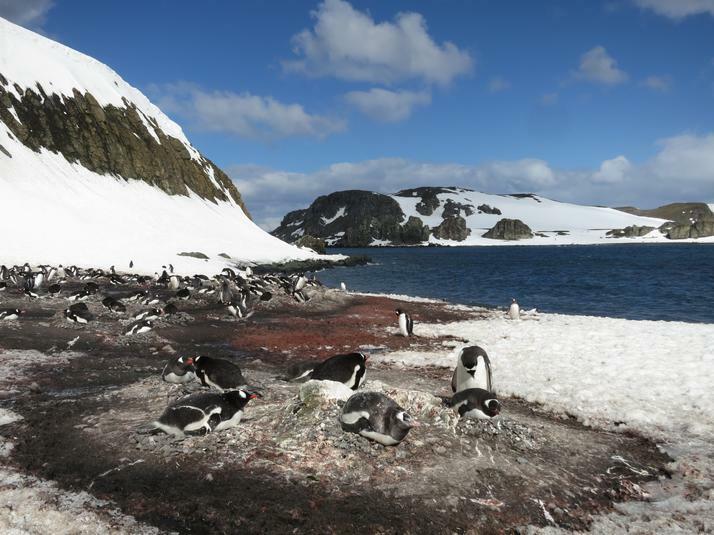 While islands are well covered in snow, there are still very rocky and some of them even have patches of grass. Remember that December is the beginning of summer in Antarctica and when the wind calms down, it is actually not that cold. Our first stop was split between Barrientos and Cecilia islands. According to the International Association of Antarctic Tour Operator (IAATO), you are not allowed to land more than a hundred people at once. Of course, no tour operators list that in their description which means that on some boat, you may miss some landings. Fortunately, the G Adventures team is big enough to use two landing sites mixed with some off-shore activities so that everybody is able to have a good time. Zodiacs are used to reach the shore and as we disembarked on the first island, a colony of Gentoo penguins gave us strange looks. They are of course one of the biggest attractions of the trip so landing sites are chosen close to colonies. Penguins lovers will be more than satisfied as I’ve seen thousands of them in a few days. Early December is their nesting season and it was particularly interesting to watch them at this time. A steep walk to the top of the island’s hill gave us some amazing views. Some penguins had found a good spot to build their nest on grassland but you are left wondering how they managed to climb to the top with their short legs! The glide down was a lot of fun and I’m glad I rented waterproof pants in Ushuaia! 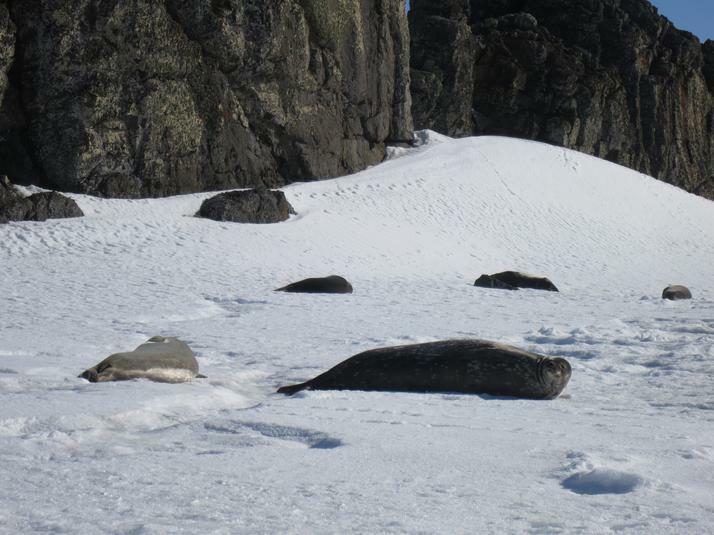 No penguins on the second island but a couple of seals lying around. A walk to the other side offered some great views of the bay (cover photo). Time goes fast and the two hours spent on land went by pretty quickly. These first steps on the continent were already amazing and as the sky gets clearer, everybody is waiting for the next day with a lot of excitement. Dinner was the occasion to toast our 7th continent for many of us!